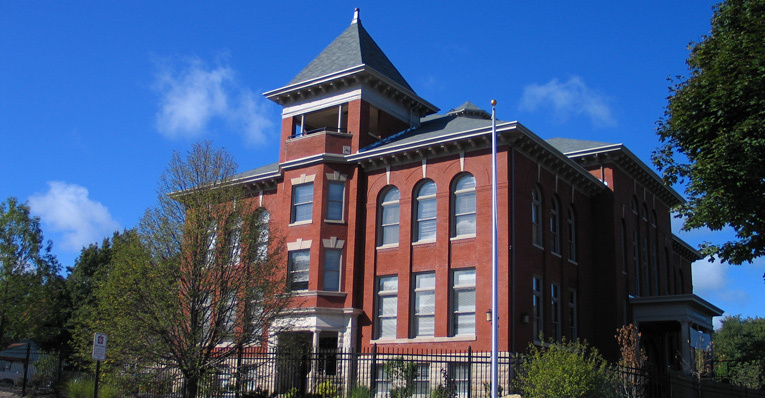 The Taylor Heights is the historic rehabilitation and adaptive reuse of the Taylor School Building and new construction of an attached residential addition in Davenport, Iowa. The building ceased operating as a school more than 30 years ago and has been listed on the National Register of Historic Places since 1983. All 41 units target seniors age 55 plus with incomes at or below 50 and 60 percent of Area Median Income. This historic property includes 20 one-bedroom and 21 two-bedroom garden- style apartments, 17 of which are in the restored portion of the property and 24 in a new three-story building attached to the older structure. All units are fully accessible and handicap adaptable and have in-unit washers/dryers, full kitchens with a range stove and microwave, refrigerator, garbage disposal, dishwasher, air conditioner and high-energy efficient furnaces. Community amenities feature a computer center, fitness center, library and space for social activities. The entire property is fenced with security gate access at two locations. The site is attractive to seniors because it is close to community services but away from downtown congestion. Its proximity to the Davenport Public Library and area parks also increase its appeal.